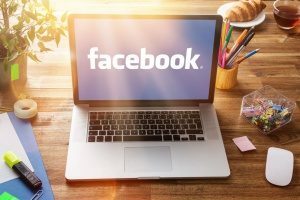 Though many lawyers may consider social media as an insignificant marketing tool, it can in fact be a powerful component of any law firm marketing strategy. Using social media marketing, firms can do so much more than just post advertisements on various social networking sites. By posting useful and interesting content, interacting with other social media users, and using social media to expand brand awareness, law firms can increase leads and generate more revenue. There are numerous benefits to engaging in social media marketing as part of your law firm marketing plan. One such benefit is that social media can improve your inbound traffic numbers. Each social media profile your firm uses provides other users with an additional entry point to your website, and each piece of content posted is another opportunity to share your expertise and build credibility. Posting on a variety of social media platforms can further generate traffic, as different age demographics tend to be more active on different websites. This can allow you to target your preferred audience you wish to offer your legal services to. Using social media as a marketing tool can also increase brand recognition and loyalty. Your firm’s content and brand will be more accessible to customers, since it will be featured on sites they already use on a daily basis. This constant exposure also makes your brand more familiar to them. When your legal content is shared, web users view this interaction between your firm and their connections on their own news feeds, and because the brand is endorsed by a firm the person trusts, they are more likely to trust and remain loyal to your firm’s brand as well. As a result of these factors, people are more likely to consider your firm first when they need legal help. Another benefit of social media for lawyers is the ability to engage with potential clients and track that engagement. Site users are likely to trust a firm that provides them with useful information in the form of blog posts, then interacts with them in the comments to provide clarifications and general help. Humanizing your law firm in this way can give potential clients the confidence they need to reach out to learn more about your services, as they will already feel that your firm has their best interests at heart. Tracking this user engagement can also be a useful tool. Understanding how many people comment on, reply to, or share a post can help your firm tailor its marketing efforts to be more effective in the future, allowing you to better target your desired audience and expand your business. 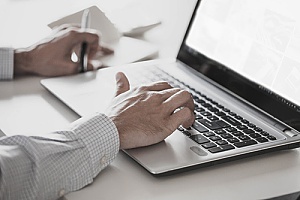 Posting content such as blogs published by your firm and articles that are written by other professionals within the industry can significantly increase your firm’s credibility. Posting original content allows you to share your specific expertise in areas of the legal industry, such as DUI or immigration law, depending on your firm’s specialities. Regularly publishing content shows that your firm understands and can provide a well-informed opinion on events happening in the news or within your specific legal industry. This proves to potential clients that your firm is dependable, trustworthy, and up to date on the latest information. Engaging with users is also a key part of social media for lawyers. Doing so humanizes your firm by showing users that you truly care about their needs, whereas other firms may seem distant because they do not reach out to users in the same manner. Answering questions, providing research and links for further reading, and encouraging users to give your firm a call for more information can all lead to a strong client-firm relationship, leading to more clients over time. How does this all translate into more revenue for your firm? First, social media marketing increases traffic to your website. By posting multiple times on multiple platforms, your firm is likely to reach more potential clients than ever before. Using specific platforms to send specific messages to each group of users helps increase the number of qualified leads that see and click on the link to your site each day, resulting in more potential revenue. Having an expert law firm website design is also crucial to whether your organic traffic will stay on your site or not. 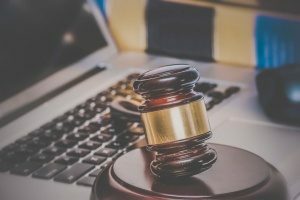 Many consumers actively rely on social media when they make purchasing decisions, and the same holds true for retaining legal services. You can place a section featuring your recent tweets on your website to keep visitors informed without necessitating them to actually be a Twitter follower to see the information. You may also choose to create a page that automatically populates with reviews and other content people leave on your firm’s Facebook profile, helping to build trust between your firm and the website visitor. Social media can also be used in place of traditional public relations methods, saving your firm money. Guest posting on the blogs of other legal firms, for example, could provide free marketing that introduces your firm to a new market of potential clients. You can also post announcements on social media, such as the debut of new services or news about awards your firm has won, while politely asking followers to share the post. Social media marketing can bring numerous benefits that can influence potential clients, spread your firm’s online brand awareness, and ultimately increase your revenue and client portfolio. At 321 Web Marketing we use digital marketing strategies to create customized social media marketing plans for each of our legal clients. We help you build your Facebook, Twitter, LinkedIn, and Instagram platforms to encourage user engagement and deliver effective messages to your firm’s target audience, helping your firm gain new clients. 321 Web Marketing continues to monitor the performance of each campaign after it is launched, allowing it to constantly make changes that improve the campaign’s effectiveness over time. Ready to nearly double your client base? Contact 321 Web Marketing today to launch your new social media marketing campaign.